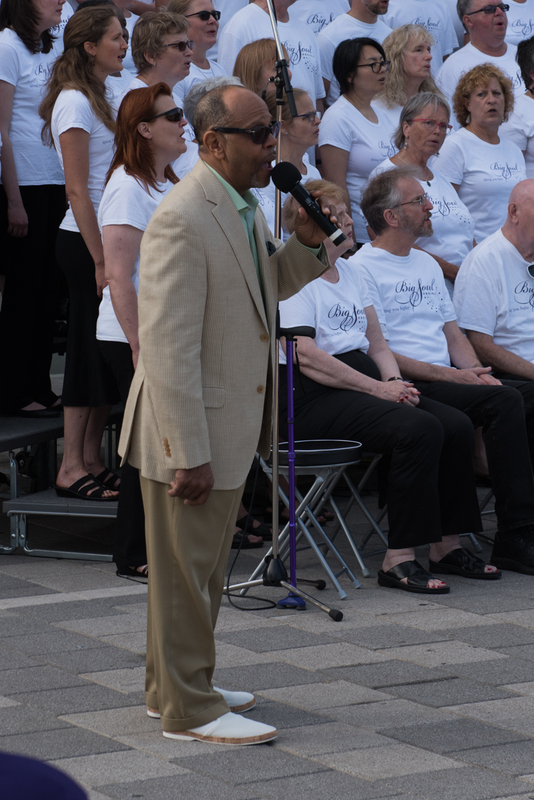 Singin’ in the Sun and the Rain! 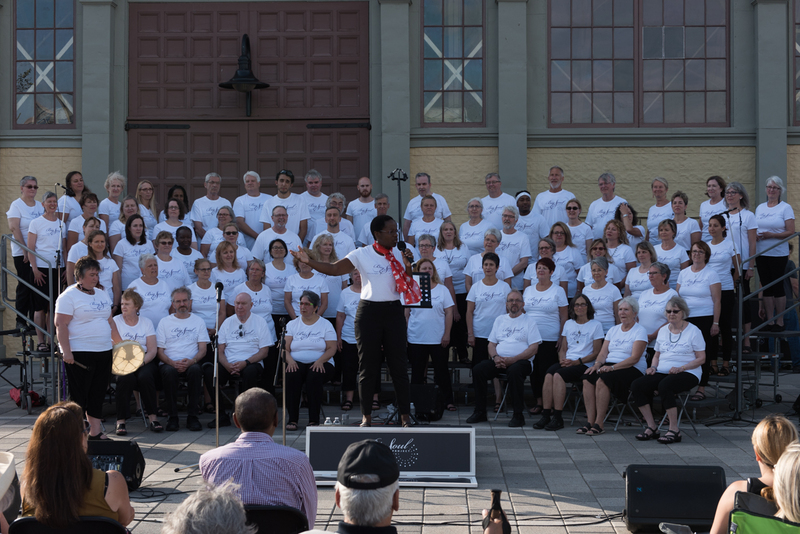 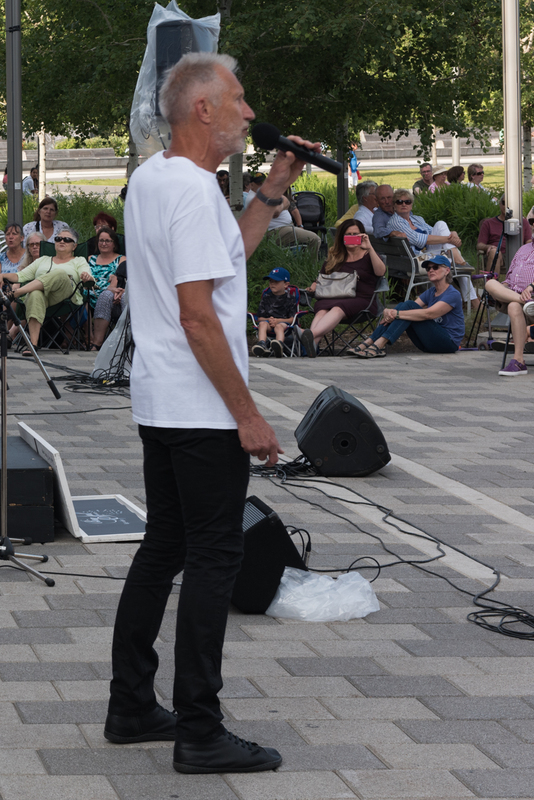 Big Soul Project sang at Lansdowne Park again this summer in what has become an annual tradition for our choir. 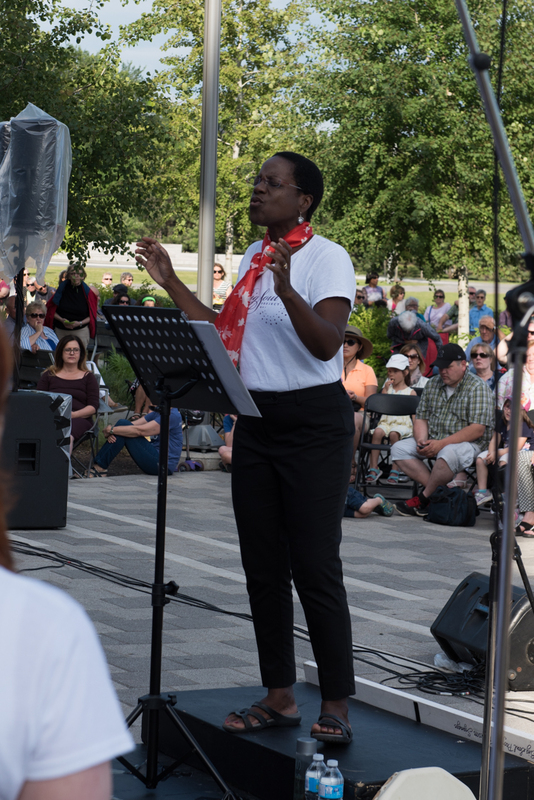 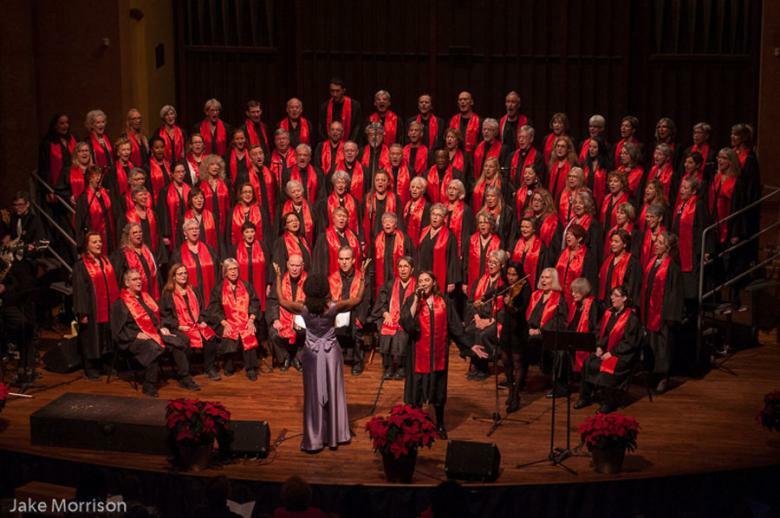 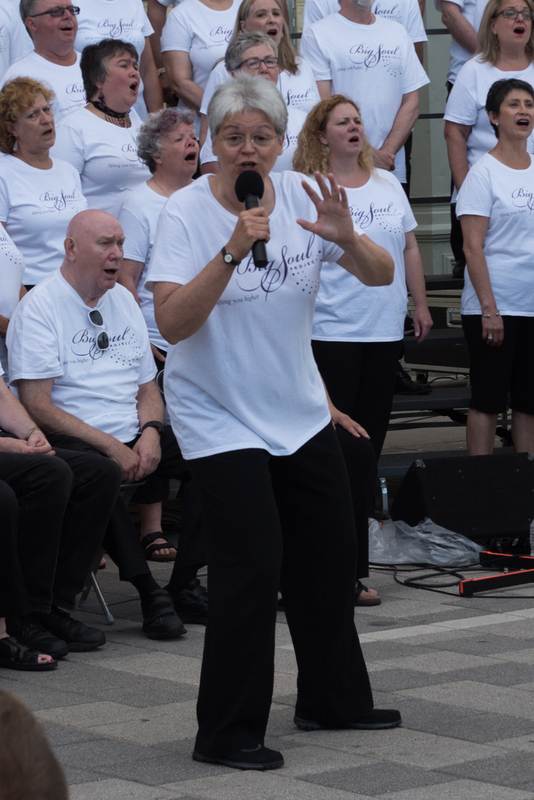 This year, to mark Canada’s 150th anniversary, a group of about 80 singers, along with Deep Groove Band, Music Director Roxanne Goodman and special guest Michael Hanna, performed a free program of Canadian hits. 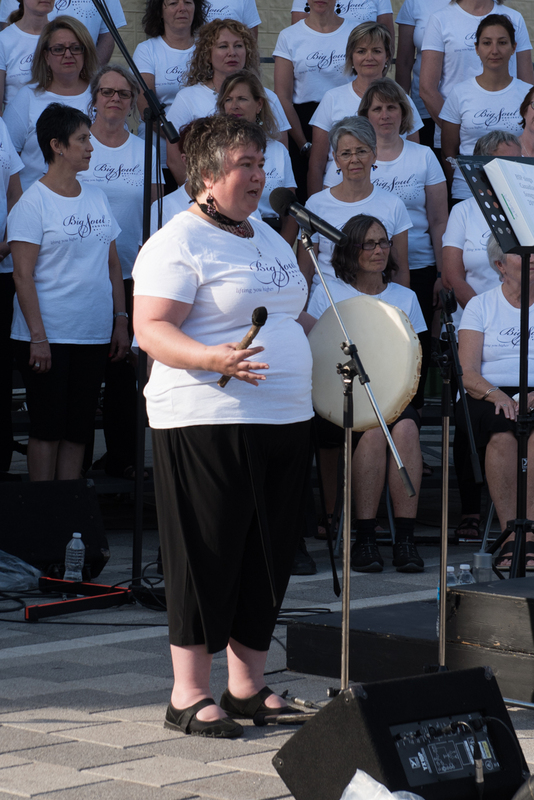 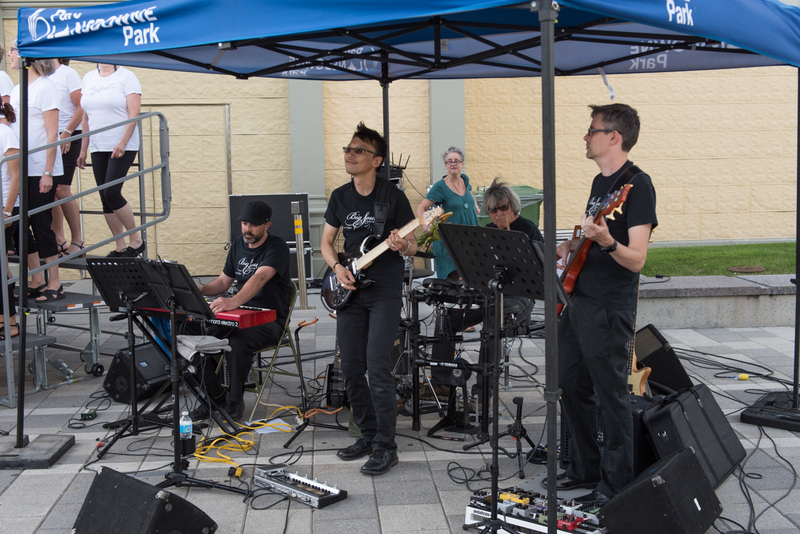 Under initially sunny skies, an enthusiastic crowd of about 400 people gathered to enjoy the concert which began with soloist Melanie Barrieau singing and drumming The Honour Song, in recognition of her Mi'Kmaq heritage. 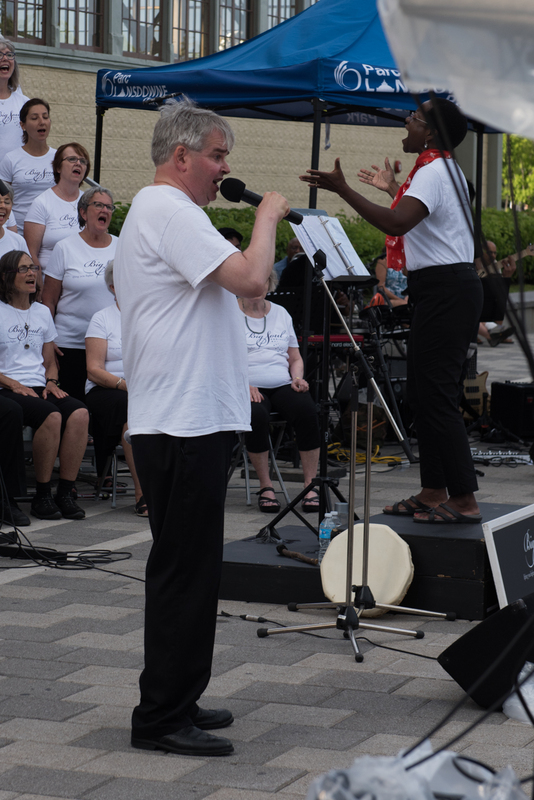 An hour into the program, and just as we were beginning one of our favourite songs - Serena Ryder’s Stompa - the increasingly threatening skies opened up. 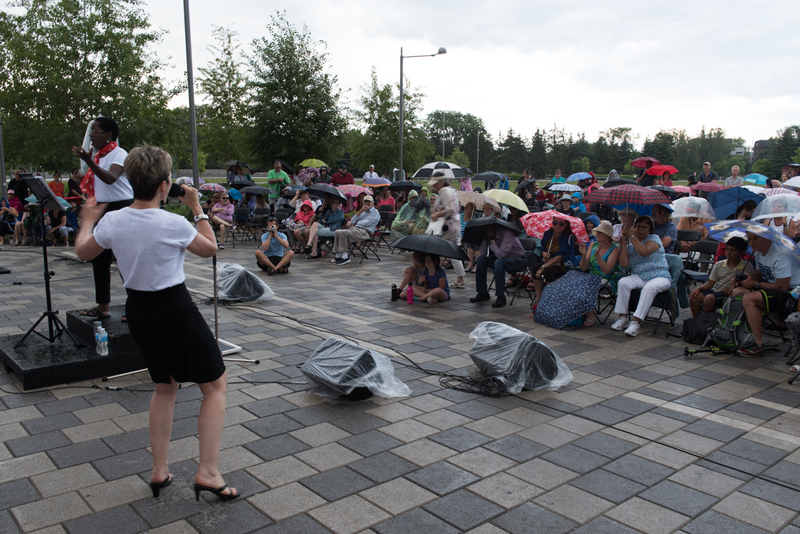 Despite the rain, we continued to sing and dance while the band played on and audience members donned rain gear and unfurled umbrellas. 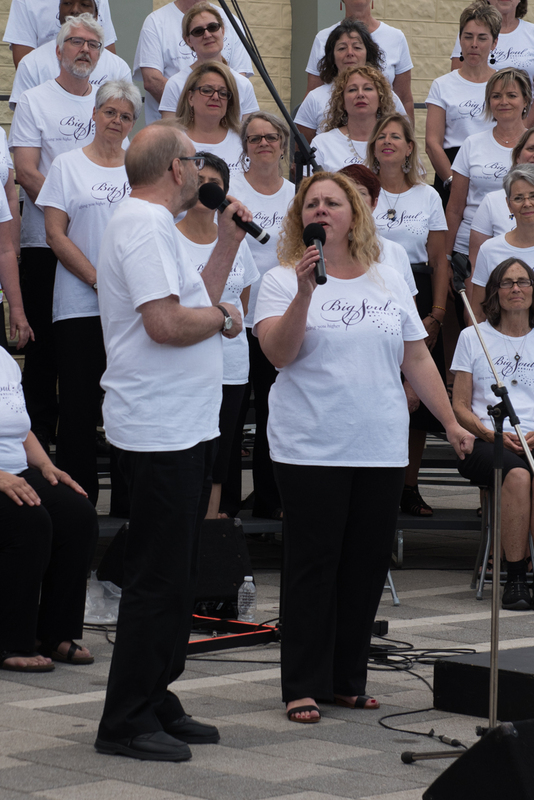 We managed one more number - Takin' Care of Business - but eventually had to take shelter inside the Aberdeen Pavilion before our encore as the downpour threatened to become a thunderstorm. 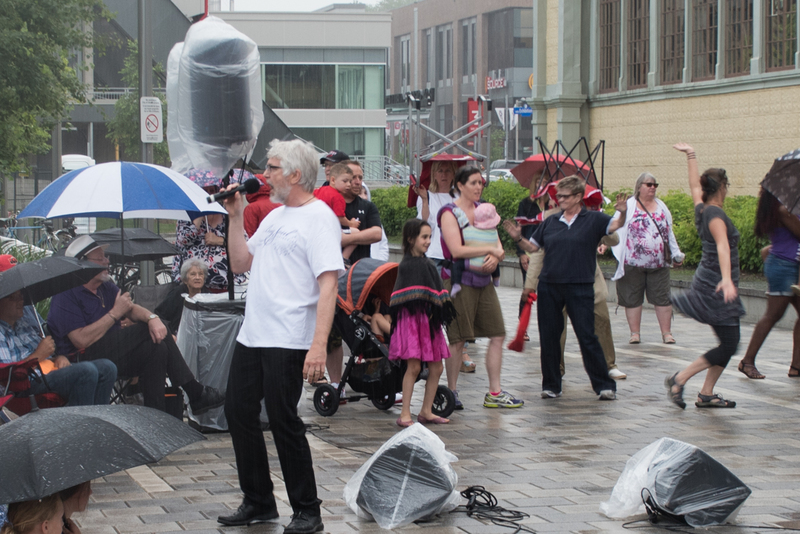 In true BSP spirit, volunteers rushed back outside to help the sound technician get all his equipment to safety out of the rain. 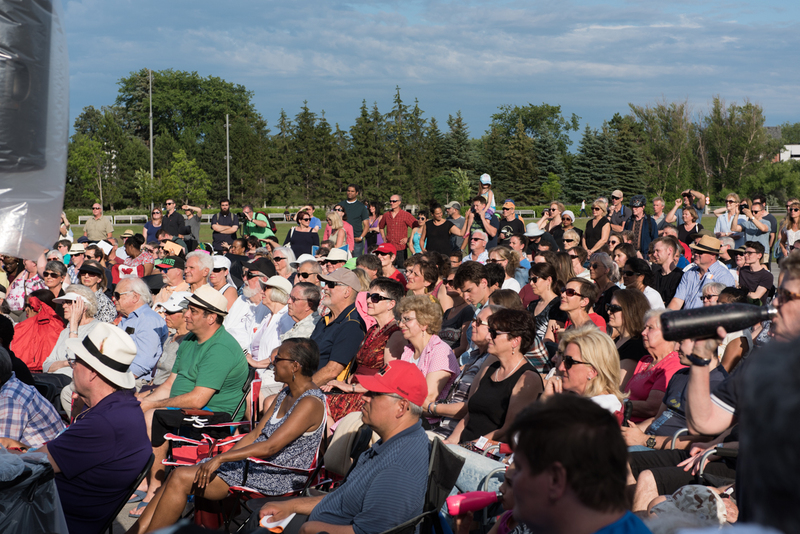 This FREE concert is a great opportunity every year for BSP to give back to the community and celebrate summer. 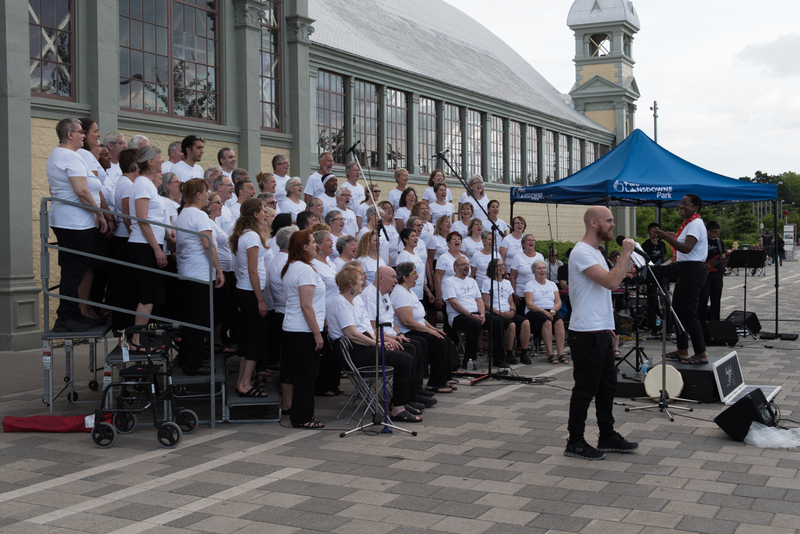 We are always grateful to Lansdowne Park and the City of Ottawa for making it possible for us sing, whatever the weather!